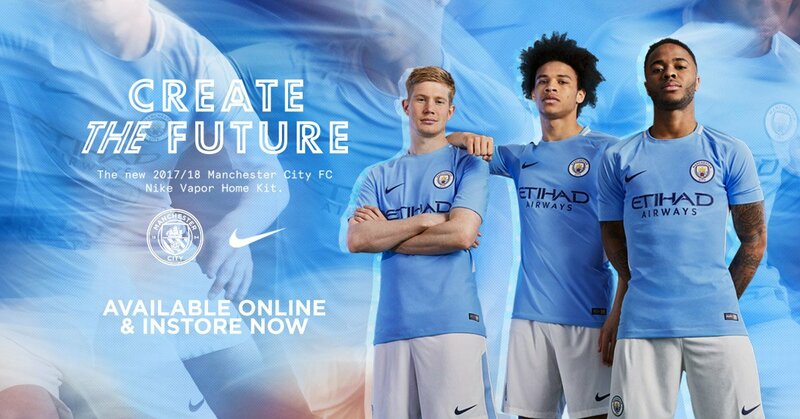 After the unveiling of next season’s home shirt, we now wait for the 2017-18 Manchester City away kit to be officially released. But even with the clubs keeping it under tabs, the new away top is already being sold in some countries abroad. We were sent these photos by an overseas Blue, who purchased the shirt from a local retailer. The 2017-18 Manchester City away shirt is predominantly dark red / claret. Claret is a colour that has been used by City in the past, including for the 2002-03 third kit, which was developed by Le Coq Sportif. Again, Nike’s Vapor template is used with subtle changes to the lateral insets as well as to the pattern on the sleeves. Sky blue is used for the insets, on the sides and under the arms, as well as for a thin line around the collar.